Vocal groups differ from choirs by having only one singer on each voice part most of the time. 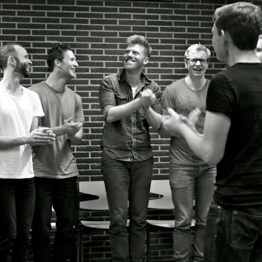 I have been part of several a cappella groups, among others Itchy (Copenhagen) and Vildskud (Copenhagen) as well as substituting in other well-known groups in Denmark. Since the end of 2015 I have become the Musical Mentor and Director of a new female a cappella quartet in Copenhagen.